The health craze has gone global and let's be honest with ourselves. We are often attracted to "natural foods" and "plant extracts," but neglect to research these product thoroughly. Another fruit is being served up by supplement companies and it's up to you to really know the benefits. We're talking about the Carica papaya fruit that has recently been touted as a muscle builder and good for weight loss, plus other benefits. Papaya is a good fruit, but it does not increase muscle gains -- at least not in the way most people think. It has vitamins that could help increase muscle gains, but it doesn't provide that much energy with only 39 calories per 100g. Papaya will ease your hunger. The fruit does contain a unique enzyme, called papain, which is a proteolytic enzyme. It's a geriatric supplement -- like the kind granny adds to her steak to make it tender. Unfortunately, highly enthusiastic health nuts started touting the benefits of papain as an aid in protein breakdown and to increase amino acid absorption.People have been attempting to hawk the bodybuilding benefits of papaya enzyme because of the theoretical protein absorption! First, our body already has powerful digestive enzymes, including hydrochloric acid and proteolytic enzymes like protease, that work better than papain. It's extremely rare for humans to have defective enzymes in the body. Second, protein absorption is not affected by papain at all. Absorption of amino acids happens in the small intestine. 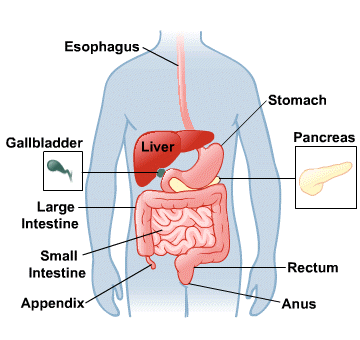 Protein absorption, therefore, is dependent on the health of the small intestine. There are several cases where your small intestine can't absorb protein. Small intestine health can be affected by bacterial overgrowth, causing inflammation and lean body mass (LBM). Laxatives also cause LBM, which forces the digestive system to flush out food before it's absorbed by the small intestine properly. Finally, there's a reason proteolytic enzymes are located in the small intestine. The strong hydrochloric acid rips apart proteins in the stomach, which also include special structural enzymes made up of proteins. This means if Papain were to enter the stomach, it would be destroyed immediately by stomach acids and broken down to its amino acid component. Forget those enzyme chewable tablets. That's literally money down the drain. Even the delayed release capsules will be useless. Papaya extract papain is useful in tenderizing meat by applying the enzyme directly to meat cuts. While papain won't help you increase muscle mass, the papaya fruit does have several other benefits. These are the real benefits of papaya, which makes it a great fruit to add to your meal plan. As previously stated, there's roughly 39 calories per 100g of the fruit. Even if you consume 1 kilo, you'll be getting just 390 calories. Fiber content is 2.5g per cup (roughly about 200g of the fruit) which can speed up the digestive system. This makes the fruit a valuable food item for your nutritional management if you're hoping to drop fat. Papaya is rich in vitamins A, B, C and E, as well as amino acids and more. Carica papaya is good for skin growth and eye health. Basically, the micronutrients help growing cells. If you're aiming for increasing muscle mass by increasing muscle cells, you'll be able to help the process by eating the fruit. Papaya helps builds muscles by providing great nutritional content. A study about papaya's effect on LDL and HDL was done recently and the results were astounding. Test subjects that were given papaya extracts showed a marked increase in HDL, or good cholesterol. HDL is responsible for helping remove harmful plaques (fat deposits) from blood vessels..
By eliminating fat deposits, you can reduce blood pressure. A healthy cardiovascular system will make exercise easier to do. Also, you won't tire as easily. Studies have shown that papaya has some form of anti-cancer substances and may reduce inflammation. Still, not all fruits are good for everybody. In fact, there are some people who aren't able to tolerate papaya very well. Because of its unique amino acid content, there are people who develop a mild allergy to the tropical fruit. Topical ointments contain latex for its papain content, which is purportedly sold to help remove dead or contaminated skin tissue. Unfortunately, the FDA has not approved papain as a topical ointment due to companies using different salt solutions and papain, which can cause severe side effects. Diarrhea - Sometimes people eating papaya accidentally scrape the rind and consume a considerable amount of latex. This causes irritation in the intestines, which can cause diarrhea. Ironically, some have used this as a natural laxative to lose weight. Still, it's an unhealthy way to drop pounds and you gain more by eating the fruit than relying on its laxative side effects. Severe anaphylactic reaction - It is rare, but not totally uncommon, for some individuals to to have a severe allergic reaction. 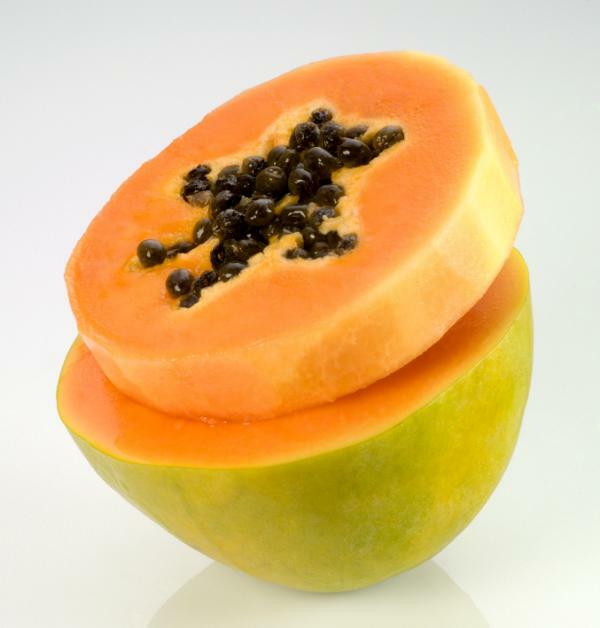 If you're looking for papain, which is an enzyme that comes from papaya, then please check our Papain enzyme page. It is often used for indigestion, shingles, sore throat, and a few other conditions.